Ngamba Island Chimpanzee Sanctuary was opened up in Ngamba Island located on Lake Victoria Africa’s largest lake, Ngamba island is well known for habituating chimpanzees in Uganda therefore it’s good for a 1 day Ngamba island chimpanzee safari in Uganda, the Ngamba Island Chimpanzee Sanctuary is 23km south of Entebbe hence making it fit for a 1 Day Ngamba Island Chimpanzee Safari in Uganda. 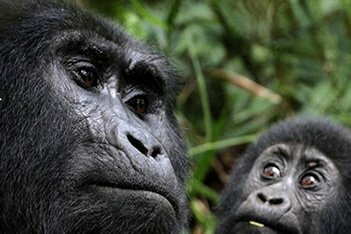 The 1 Day Ngamba island chimpanzee safari in Uganda takes you to Ngamba Island that consists of approximately 100 acres of which 98 acres are forested and gazetted for Chimpanzee habituation. Ngamba Island Chimpanzee Sanctuary was officially opened to visitors in October 1998 and is currently home to 42 orphanage chimpanzees, 22 of which have been confiscated and brought to the island since its opening. The sanctuary is run by Chimpanzee Sanctuary and Wildlife Conservation Trust (CSWCT), who provide these orphaned chimpanzee with a secure home to live out their lives, since a return to their natural habitat is not currently possible. Ngamba Island Chimpanzee Sanctuary aims to educate visitors and local communities about this remarkable species and the importance of conserving their fragile forest habitat. The entrance and activities fees paid go directly towards helping to cover the costs of ensuring the well being of the chimpanzees at the sanctuary hence promote Chimpanzee Safaris in Uganda. We start the 1 Day Ngamba Island Chimpanzee Safari in Uganda depending on the scheduled time of the visit to Ngamba Island, then depart from Kampala city early in the morning, if your visit to Island is in the morning then you will visit the Uganda wildlife center in the afternoon having visited Ngamba Island Chimpanzee Sanctuary in the morning. But if the visit to Ngamba Chimpanzee Sanctuary is in the afternoon then you will begin the 1 Day Ngamba Island Chimpanzee Safari in Uganda with a visit to the wildlife center in the morning before cruising to the Island in the afternoon. 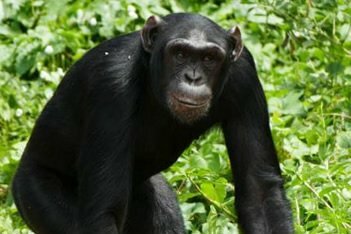 On this 1 Day Ngamba Island Chimpanzee Safari in Uganda, you will either view the morning or afternoon feeding of the chimpanzee from the visitors raised platform, listen to an informative talk by the sanctuary staff, enjoy the island’s beautiful views, natural wildlife, bird life and enjoy the cruise on the lake. 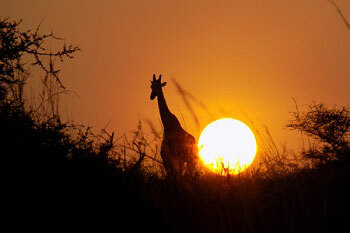 The trip departs from Entebbe with a pre-trip briefing before heading out to the pier to board the boat to the island and ends at the point of pick up hence mark an end to our 1 Day Ngamba Island Chimpanzee Safari in Uganda.